MSRP: $24.95 on E-Bay. I paid $12.98 for mine back in the 90's at my local hobby shop. Copyright of the kit is 1998. 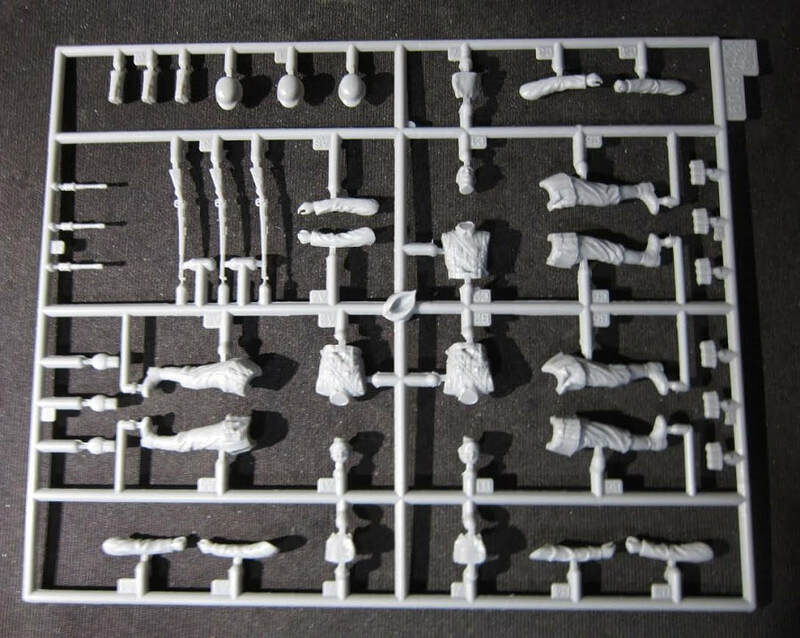 DML Dragon is a prolific model company based in Hong Kong, China. They make all manner of model subjects in the popular scales. They had an office in Shanghai at one time and a few of their kits are labeled with that..like this one. 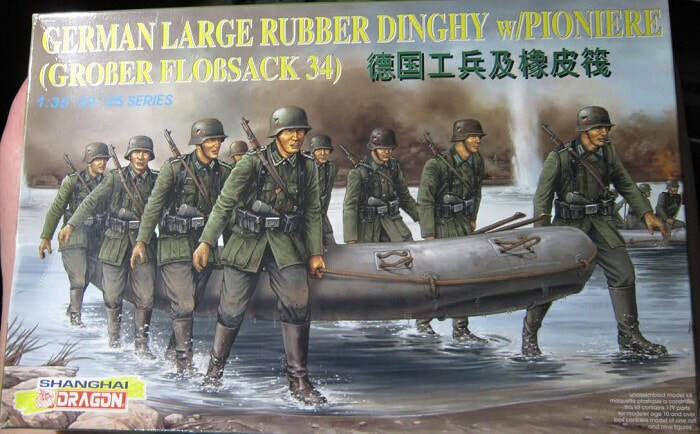 The box art shows 9 Pioniers carrying a raft ashore by the rope around it, after crossing a river under fire. There are two explosions in the water behind them, so I assume that is from artillery fire from the enemy. Another raft is just coming ashore behind them. All of them wear field-grey uniforms, steel helmets and black jack boots. All are armed with 98K carbines and each has a potato masher type grenade tucked behind their belts and have ammo pouches on them and other field equipment. One side panel has 2 color box arts of other AFV kits that DML manufactures: kit no. 6080, a German Panzer IV Ausf. L late, Sd.Kfz. 162/2 and kit no. 6081, a German Sturmpanzer IV "Brumbar" late, Sd.Kfz. 166. ​This is followed by a CAUTION to be in a well-ventilated room when using cement and paint, in 6 languages including English. 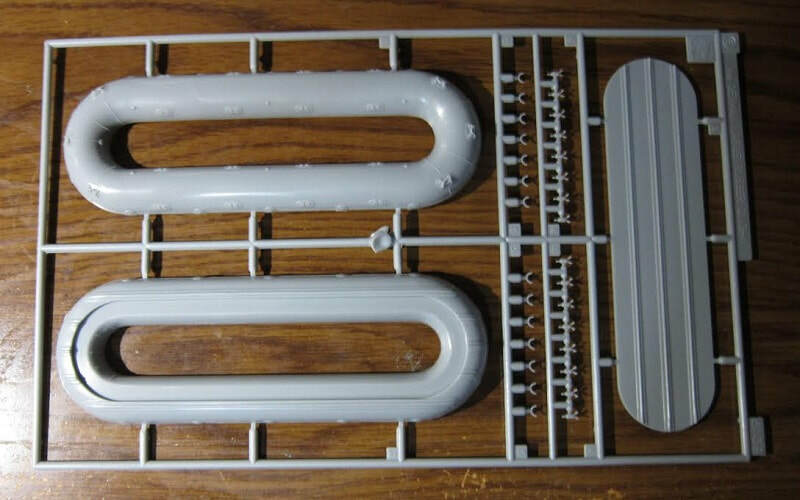 The kit is for modelers age 10 to adult and is unsuitable for children under 3 due to small parts and sharp edges. Italeri is named as the DML importer for Europe. The other side panel has 3 color walk-around type photos of the model made up. This is followed by DML's Shanghai address, telephone and FAX numbers and the copyright date for the kit of 1998. This kit contains 6 medium-grey trees in 5 sealed cello bags with a length of white string that is also in its own cello bag. There are no clear parts or decals in the kit. Final item is the instructions. It consists of a single sheet folded in half to create 4 pages in 8 1/2" x 11" page format. Page 2 begins with CAUTIONS about the kit in 6 languages, including English, over international assembly symbol explanations and a suggested listing of Gunze Sangyo and Italeri brands of paint colors. The bottom of the page has an un-numbered step to use for assembly of the raft. Page 3 through 4 have assembly and painting instructions for the 9 figures. The bottom of page 4 repeats the copyright date of 1998 over the decal applications instructions. These instructions are redundant, because there are NO decals included in this kit. 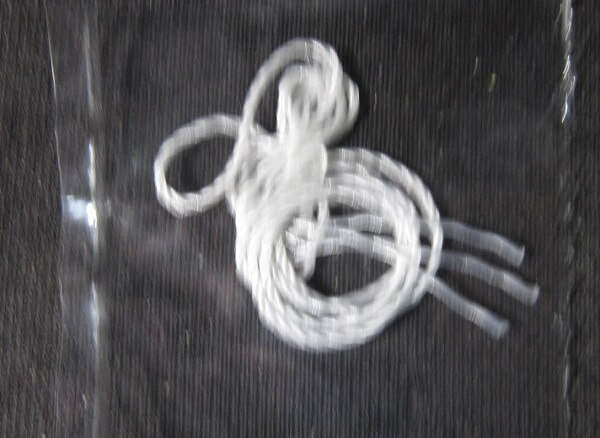 ​The white string is to go around the edge of the raft through the cleats and is used to carry the raft. This is a neat subject. However, kind of ho-hum poses.